After dating Cassandra and Daryna, I spend some time with the newest Mint girl in town. Elyssa is her name or you can simply call her Mint 5. I was really impressed with the past versions of Mint, so I made a vow to always keep track of its latest development. Since Mint 5 is derived from Ubuntu 8.04 LTS, I expect it to be filled with exciting new features and should be more of like a much polished "Hardy Heron". 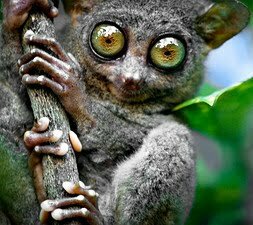 So, immediately after its release, I downloaded the "Main Edition" of Linux Mint 5 and thoroughly tested it to see if it was able to meet my expectations. Mint 5 installation was flawless as usual on my test machine, and I was not surprised. It's actually the same straightforward installation similar to that of Ubuntu. However, unlike in Hardy Heron, you are not given an option to install the operating system right away. 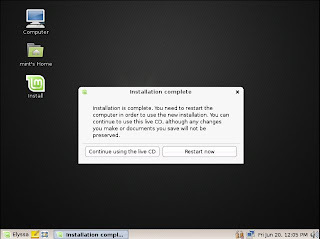 You have to boot to the Live CD desktop first for you to install Mint 5. An interesting and handy feature of Mint is an application called MintAssistant. It's a wizard that appears immediately after the installation (during first log-in) that asks you a few questions to customize Mint based on your level of knowledge and comfort with various Linux components. It will also give you options to enable or disable fortune-cookies in the terminal, and whether to enable the root account or not. One of the things that has drawn people into using Mint is its elegance. Right now, I think it's next to openSUSE in terms of looks and x-factor. Mint 5 comes with 5 new themes: Peppermint, Wildmint, Aurora, Carbon and Lightning. These themes take advantage of the new Aurora and Candido GTK engines and they are fully customizable. The default dark wallpaper in Mint 5 is almost the same as that of Daryna, but there are plenty of pleasant-looking Mint-themed wallpapers that are available out-of-the-box just in case you are tired of black. The other thing that makes Elyssa gorgeous-looking is its set of icons called Mint-Green. Those who are not contented with the basic beautification and wanted more desktop bling can always enable desktop effects provided they have a capable graphics card. 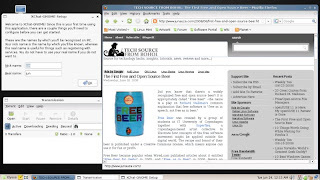 Overall, Mint 5 has a very polished and professional looking GNOME desktop. 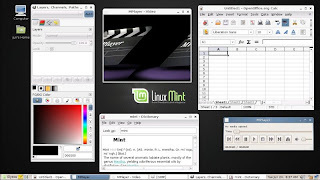 Unlike Ubuntu, Mint utilizes a single panel with its very own MintMenu --a python-coded menu that allows for fully customizable text, icons, and colors. Some may like this setup but I still prefer the two-panel and classic GNOME-menu combination. Mint 5 has indeed plenty of improvements over its predecessor in terms of features and installed software packages. There are also improvements in mintMenu, mintUpdate, and mintInstal among others. You can read Elyssa's full list of features HERE. The all essential list of software packages installed by default in Mint 5 is almost the same as that of Ubuntu 8.04. It has Firefox 3, GIMP 2.4, OpenOffice.org 2.4, and a whole lot more. Plus, important proprietary plugins like flash and multimedia codecs for playing DVD and MP3 are already loaded in Mint. 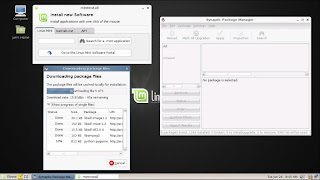 If you need more software packages, you can easily get and install them using the very reliable Synaptic Package Manager, or you can install applications with one click of a mouse using Mint's very own mintInstall. From installation, Mint 5 has been running smooth and steady on the virtual machine environment. It never failed to detect and properly configure the VM hardware like USB, audio, CDROM, and Ethernet. Also, I have easily and successfully adjusted my screen resolution to my preferred setting. I’ve really never encountered major headaches while using Elyssa while doing some of my computing tasks. For those who are using unsupported graphics and wireless cards, Mint comes with Envy, a proprietary graphics card driver installer, and a Windows Wireless Driver installer. Though I have not tested them both, I think they are very practical tools for those who want a painless graphics and wireless card drivers installation. With Elyssa, Linux Mint has cemented its place as my top rated distro for Linux newbies particularly those who have just migrated from Windows. It is so easy to use that you can call it Ubuntu for dummies. Plus, it is filled with necessary tools and applications that make desktop computing a breeze. All in all, Elyssa is yet another successful release for Mint. 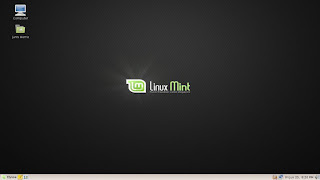 No wonder why Mint is really on the rise and has now overtaken some of the most popular Linux distributions. 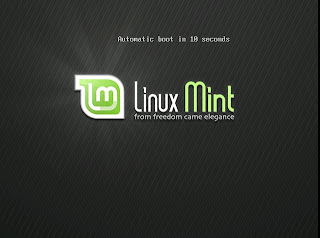 I've been using Mint since Daryna on my HP notebook and you are right that it's a beginners distro. Now, I'm glad that I have upgraded to Elyssa because it's really worth it. It has everything that I need for my desktop. Great and fun to read review by the way. Keep it up! @Clara - Thank you. I'm also happy to know that you are having fun with Linux particularly Mint. Well-written review. I'm using Mepis as it is recommended by my friends as an easy to use distro. 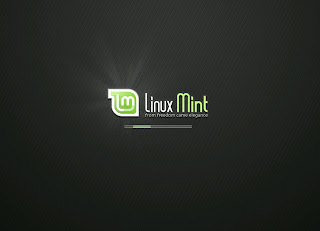 I'm really intrigued with Linux Mint while reading this. I have to try it soon. I'll let you know about it. No Problem. Just give me some credit by putting a link to this blog. Thanks. 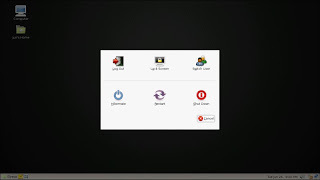 As u said, even i feel its the best linux for people who migrate from windows. 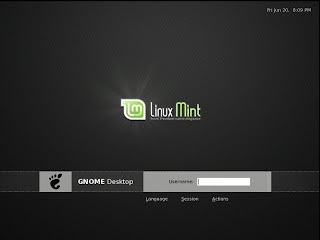 I m not a newbie, as i have already used opensuse and ubuntu. Also its EnvyNG works fine and installs graphic card drivers. I have a 8600gt geforce. I installed its drivers with ease. The only thing is you need internet.